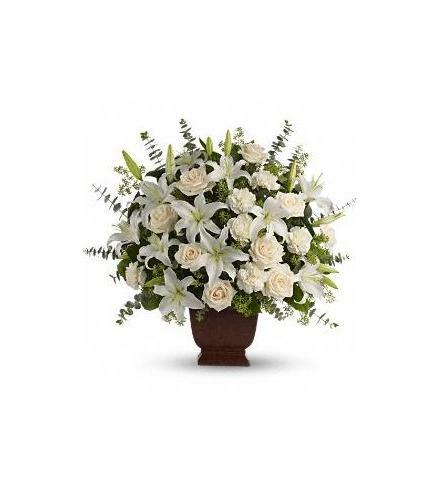 Fresh flowers such as crème roses, white oriental lilies, carnations, eucalyptus and more are delivered in a suitable available container... Easter Lilies - Loving Lilies and Roses. 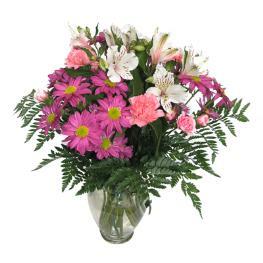 Florist Notes: The container shown will not always be available. 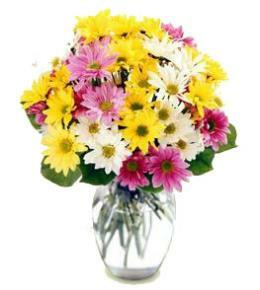 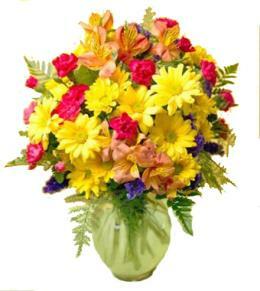 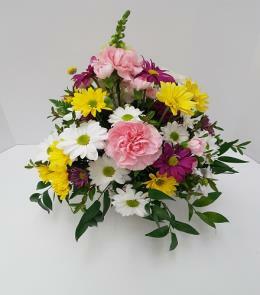 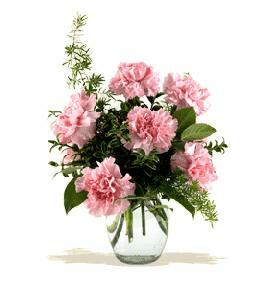 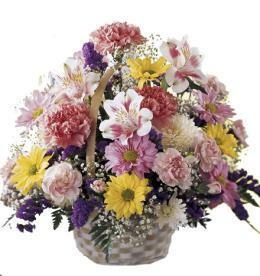 Florist will choose a suitable container that is in stock.